We have a great range of diesel home generators. Small, portable diesel generators for sale. They're perfect for light power needs. Ideal for home backup power, farm, camping, and boats. Diesel is still the most popular fuel used by home backup generators. 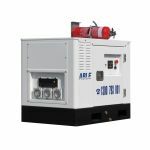 This is because of a number of advantages diesel generators for home has over petrol or gas-powered generators, for example, a diesel generator is more fuel efficient than petrol engines and in terms of life span, a diesel generator engine is much longer lasting. If you're looking at a higher power off-grid reliable home generator, you may need a water-cooled generator. Industrial generators, your diesel or petrol generator solution. It does so by continually monitoring the incoming mains supply. If the voltage of the mains supply fails or is significantly reduced to create a brownout condition, it will immediately disconnect the mains supply and command the Generator to start. 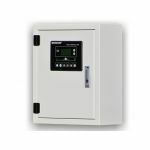 The HAT220A ATS controller can accurately detect 2 ways-3 phase, 2 ways-1 phase or even 2ways-2phase voltage. 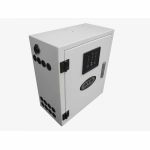 It can also make an accurate judgment to conditions of abnormal voltage (loss of electricity, over or under voltage), control the ATS to transfer after your predefined delay. Our diesel generators are modular configuration design, sturdy steel shell, a compact structure with easy mounting and maintenance. Home diesel generators, give us a call on 1300 793 001 to discuss your needs today. Our fuel chart approximates the fuel consumption of a diesel generator based on the KVA of a generator and the load at which the generator is under. This table is to be used for an estimation of how much fuel is used for running costs involved in the operation and is not exact because of other factors that can increase or decrease fuel consumption. Oil Fuel or Petrol Generator? When it comes to portable generators there’s no bigger match between diesel and petrol generators. Because diesel provides more power per unit of fuel than petrol and is lower in volatility it is safer to handle. However, if you are already operating other petrol equipment then a petrol generator can do the job just as well. When you consider leading Australian brand Able, they have first-rate options in both petrol and diesel. It really comes down to which model suits your application the best. Come in and see the full range of petrol and diesel generators in Able Sales Perth, Melbourne, and Brisbane. Go to Air Compressors Compactors Bricksaws Portable Pressure Washers Air Cooled Australia 21-55KVS Genset sales over 55KVA We now have shipping to Adelaide Hobart Port Hedland Karratha Gensets Kalgoorlie and Melbourne Australia Water Cooled 8-20KVA 21-55KVA for sale Australia Grade Portable Gensets Petrol Portable Diesel Synchronised Gensets Large Industrial Gensets How to choose a genset at very competitive rates.